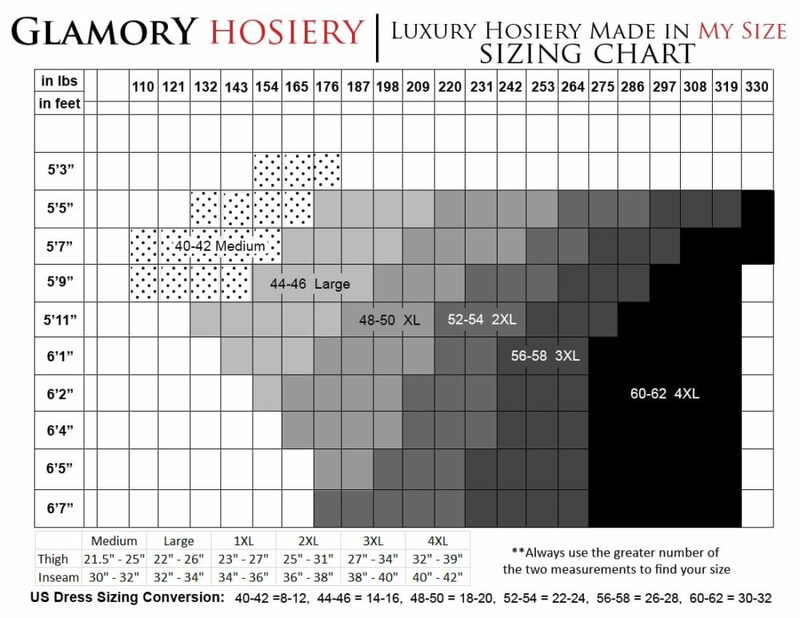 The Glamory 50222 Satin 20 XT Super Size Tights offer a satin sheer look with extended sizes in two sizing categories of 5XL-7XL and 8XL-10XL. From an extensive collection of hosiery that really does cater specifically for the fuller figure, the tights have features such as an extra wide brief and thigh area, flat seams, a reinforced toe, and comfort gusset to give the ultimate fit. In black, make-up and teint. Giving you a flawless lustre for your feminine curves.